Join us April 3-5 throughout the day for a peek into the activities at “Waste to Worth: Spreading Science and Solutions”. We will broadcast the keynote and luncheon speakers as well as selected breakouts throughout the conference. Check the website for a complete schedule at W2W Live Webcast Central. Air Quality II. A series of videos and a decision tool produced by the University of Minnesota have recently been added to the LPELC air quality website. Check out Resources for Policy Makers | Health Impacts of Air Emissions | Biofilters and Manure Covers | Odors/Neighbors and Setbacks. The decision tool is designed to assess the costs of various air treatment technologies (scrubbers, biofilters, covers, digesters, manure belts, etc.) to assist in making the most economical decisions. Feedlot Air Treatment Cost Calculator is a spreadsheet and includes four video tutorials. Studying Manure. 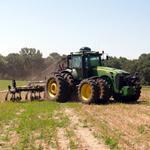 The USDA ARS has been conducting research on the types of microbes found in manure of cattle. As you would expect, they discovered that similar animals fed the same diets did not all have the same types of microbes. 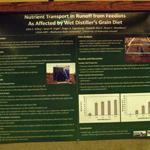 The research continued by studying bacteria transport from fields amended with manure from cattle fed different diets. They discovered very little difference due to diet. They also studied the impacts of application rate (applying 1, 2 or 4 years of manure nutrients in one pass) and found that higher application rates increased the nitrogen and phosphorus load in runoff water. For even more on this research…. ASABE Conference. The call for papers for the 2013 ASABE Annual International Meeting is open. Those interested in submitting an abstract for a technical or poster presentation can submit at http://asabe2013.abstractcentral.com (Submission deadline is December 13, 2012). The meeting will be held July 21-24, 2013 – Kansas City, Missouri.